Online retailer Amazon (NASDAQ: AMZN) has continued to defy naysayers with its ability to defy gravity as the prospects for the company keep growing stronger. Shares of the Seattle Washington-based company are up almost 55% since January. The stock of the company performed relatively well in 2008, a year marked by a great deal of turmoil. 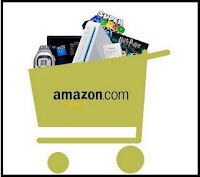 Accordng to a surrvey by Compete.com, the domain amazon.com attracted at least 615 million visitors annually in 2008 which was twice that of walmart.com. The company even had a strong holiday season at a time when most of the traditional retailers were having tough time attracting shoppers. Launched in 1995 as an on-line bookstore, Amazon has steadily branched into retail sales of music CDs, videotapes and DVDs, software, consumer electronics, kitchen items, tools, lawn and garden items, toys & games, baby products, apparel, sporting goods, gourmet food, jewelry, watches, health and personal-care items, beauty products, musical instruments, clothing, industrial & scientific supplies, groceries, and more. The company is now the largest online retailer and is fast gaining ground against traditional brick-and-mortar retailers. Recently,RBC Capital analyst Stephen Ju insisted in a research note that Amazon.com “may be facilitating close to a third of all e-commerce in the U.S.,” and that it continues to gain share here. Ju suggested that the total share of U.S. e-commerce through Amazon was about 34% in Q4, up from 27% a year earlier. Amazon launched its new e-book reader Kindle 2 in February, featuring improved battery life, 20 percent faster page-refreshing, a text-to-speech option to read the text aloud.According to sources, approximately 300,000 of the Kindle 2 have been sold this year, suggesting Amazon has made over $100 million in revenue from sales of the $359 device in 2009 alone.Amazon expects to sell 800,000 Kindle 2 devices in 2009.Citigroup analyst Mark Mahaney estimates that Amazon will sell 378,000 units this year, and Kindle will be a $1.1 billion business that translates to roughly 4% of Amazon’s revenue in 2009. According to media reports, Amazon.com is developing a new version of its Kindle e-book reader with a larger screen, according to a report on the Web site of The Wall Street Journal on Friday. The new device may come out in time for the 2009 holiday shopping season, according to the report, which cited unnamed sources who claim to have seen versions of the device. The company is also working on socializing the Kindle device through its software as a service (SaaS) platform Whispersync or another yet to be announced SaaS application. The SaaS application would allow readers of books, magazines and blogs to mark-up, comment and share that information with the Kindle community or a book club. Amazon is also quite serious about its “cloud-computing” initiative and is promoting it at a rapid pace. Cloud computing is bein touted as the next big thing and according to technology research firm Gartner, worldwide cloud computing services revenue is is expected to top $56.3 billion (US) in 2009. Market revenue grew by 21.3 per cent from 2008's $46.4 billion, and it will continue to increase to $150.1 billion in 2013. The company is also expanding in overseas markets at a rapid pace. It ships in six foreign countries, including the fastest growing economy China. In fourth quarter of year 2008, international sales of $3.07B made up 46% of total revenue. The company looks all set to beat Wall Street estimates when it releases its earnings on April 23. Amazon has continued to perform well even in recession and its growth momentum is expected to accelerate once economy recovers. Thus in retrospective, Amazon still remains a good buy and the stock looks attractive even at the current levels.